Harvard Trilogy Limited Edition Boxed Set. 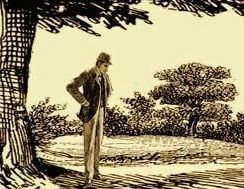 Not since the fabled Baker Street Irregulars “Trilogy Dinner” of 1944 has a single event produced three such important Sherlockian publications. “Sir Arthur Conan Doyle: A Sesquicentennial Assessment,” a symposium held May 7-9, 2009 at Harvard University to celebrate the 150th anniversary of Doyle’s birth, coincided with the launch of the three: the latest addition to The Baker Street Irregulars Manuscript Series, a compilation of the scholarly papers presented at the symposium, and an annotated catalog for Harvard’s Conan Doyle exhibition. 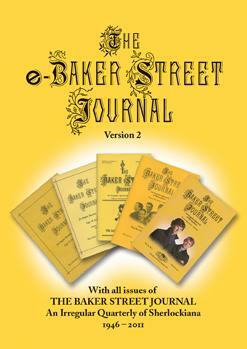 The sixth title in The Baker Street Irregulars Manuscript Series, this volume features a facsimile of the original manuscript of “The Adventure of the Three Students” held by Harvard’s Houghton Library, along with commentary about the story. Edited and introduced by John Bergquist, the volume includes Phillip Bergem’s notes on the manuscript, Randall Stock’s history of its travels, and Nick Utechin’s criticism of the story’s premises. Also featured are articles by Michael Eckman, Guy Marriott, Oliver Nicholson, and Andrew Malec. For more details about the book and the table of contents, see the standard edition of So Painful a Scandal. The limited edition volume (shown here) comes in a special Harvard crimson binding with gold stamping. It is signed by the editor and all of the contributors on a special, hand-numbered limitation page. Proceedings from the May 7-9, 2009 Harvard Symposium. This volume showcases 14 presentations designed to reflect the symposium’s focus of broadening our understanding of Doyle in light of recent biographical studies; examining the enduring popularity of the Sherlockian Canon; revisiting the non-canonical fiction, historical and social writings; and witnessing Doyle’s legacy as promoted by literary societies and through teaching. Edited by Peter X. Accardo, John Bergquist, and Dan Posnansky, the Symposium Proceedings include papers by Doyle biographers Daniel Stashower and Andrew Lycett; by professors Giles Constable, Eve Mayer, and Charles J. Rzepka; and by such other experts as Glen Miranker, Leslie Klinger, Thomas J. Francis, Steve Rothman, Richard Olken, and Randall Stock. For more details about the book and the titles of all the papers, see the standard edition of Papers at an Exhibition. The limited edition volume comes in a matching Harvard crimson binding with gold stamping, and includes additional material not found in the trade edition. It is signed by the editor and all of the contributors on a special, hand-numbered limitation page. Edited by Peter X. Accardo, this annotated catalog was produced for Harvard’s Conan Doyle exhibition of May-August 2009. Curated by Peter X. Accardo, Dan Posnansky, and Glen Miranker, this major exhibition features rare books, manuscripts, and ephemera from Houghton Library collections (including the H. W. Bell/Speckled Band of Boston collection of Sherlockiana and the recently donated Baker Street Irregulars archive) and private collections. The limited edition volume comes in a matching Harvard crimson binding with gold stamping. It is numbered and signed by Peter Accardo and Dan Posnansky. A: The Limited Edition was available only as part of a 3-book set along with its slipcase. Standard editions of So Painful a Scandal and Papers at an Exhibition were published separately. Q: Can I get a standard edition of the Ever Westward catalog? A: The standard edition Ever Westward catalog was only available from the BSI to Symposium attendees. A: The limited edition volumes have different covers, are signed and numbered, and come with a slipcase for the set. Unlike the soft-bound standard edition exhibition catalog, the limited edition of Ever Westward is hard-bound and printed on the limited edition paper stock. It also includes sharper reproductions of items in the exhibit and some corrections to the text. The standard editions of So Painful a Scandal and Papers at an Exhibition come in a pictorial dust jacket as shown on their respective web pages.